Archer Season 3 Blu-ray Review It's Champaign comedy at its best and is like South Park meets James Bond. The crazy Sterling Archer (H. Jon Benjamin) and the ISIS (International Secret Intelligence Service) team return for another whacky and politically incorrect season of Archer which revolves around a fictional team of secret agents who rather help themselves than the world. With that said, this cartoon comedy is definitely not for children and features strong adult content that is definitely more realistic than South Park and breaks all social norms. 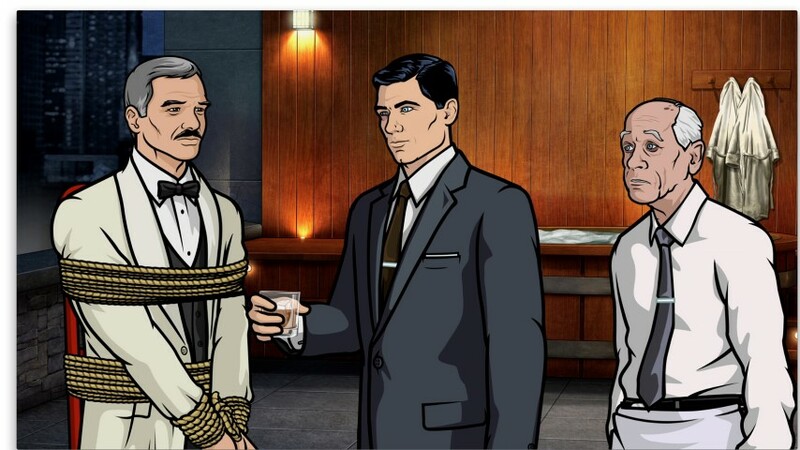 Joining archer in his secret spy antics is the lovely Lana Kane (Aisha Tyler) his ex-partner and fellow spy, Malory (Jessica Walter), Archer's mother and the classic Woodhouse (George Coe), his poor poor Butler! It's a crew made in comedy heaven! 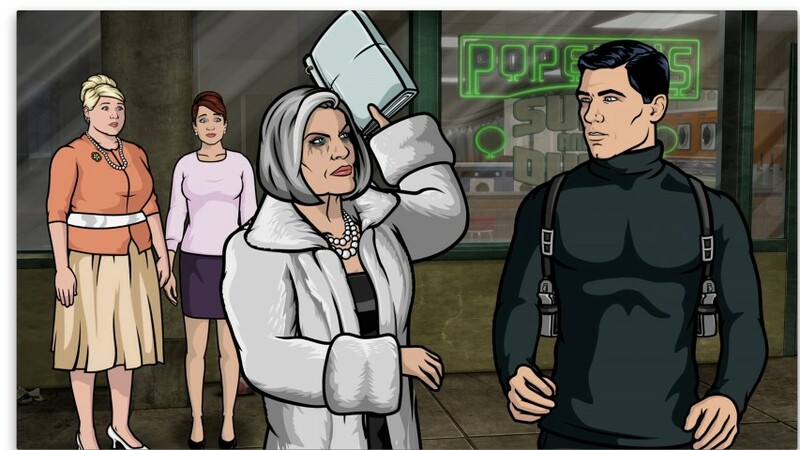 Season 3 commences with Malory, Archer's mother hiring Rip Riley (Patrick Warburton) to find Archer who has been missing from his wedding day. 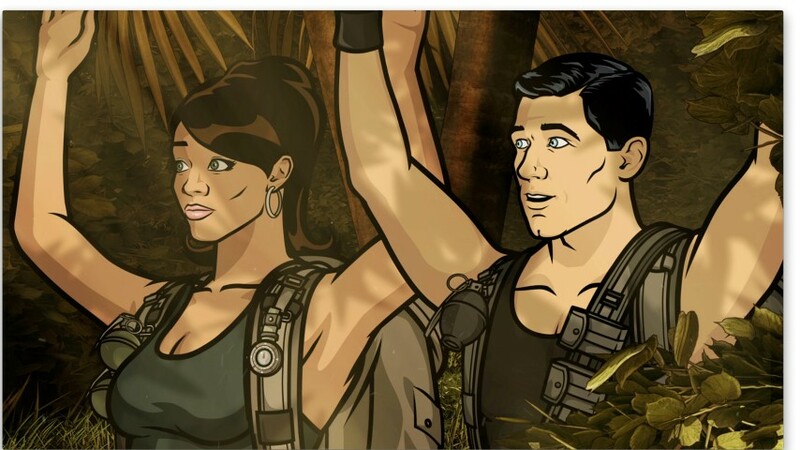 This three part episode focuses on Archer returning to his normal life after having a hilarious run in with pirates. From here it moves onto a very amusing episode that has the real Burt Reynolds dating Archer's mother to Malory once again getting herself into trouble with the Italian Prime Minister. The season ends with a double episode that has Archer and the gang captured by space mutineers which is reminiscent of Moon Raker... unfortunately some of the gags are a little flat in this episode. In terms of characterisation and apart from Archer who lacks judgement and morals, my second favourite character is his mother Malory, an alcoholic who uses the resources of ISIS for her own personal advantage. Her character and lines are a crack up! There are also some surprises in season 3 such as the return of Colonel Jackov who may or may not be Archer's father and there is a great bonding scene between the two of them. Overall, Archer is a very clever animated series that contains some very funny characters, great dialogue and a wonderful cast of actors. 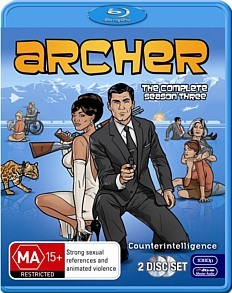 Even though some of the characters may be foul mouthed, Archer has this amazing charm that will pull you in from the first episode and even if you have missed the previous series, you can easily start watching (provided it's not a double of triple episode) without being disadvantaged. My favourite episode in Season 3 is the Man from Jupiter which features Burt Reynolds as himself with the writers putting Burt and Archer through some hilarious scenes. You really don't want your hero banging your mother. It's Champaign comedy at its best and is like South Park meets James Bond. The video quality of Archer Season 3 is quite stunning on Blu-ray with larger than life colours and some exceptional image quality. Even though the animation uses this almost cell-shaded style that is quite simplistic, the artwork really shines on Blu-ray with no compression or artifacting whatsoever. The audio is equally as impressive with DTS 5.1 that produces clear dialogue and perfect levels.